HEXUS, in partnership with Zalman, is giving you the chance to win a PC upgrade bundle brimming with high-end components! Up for grabs in this awesome collection of hardware is a full-tower H1 chassis with Automatic Heat Ventilation, an LQ315 liquid CPU cooler, a 600W GV-Series power supply, a K400G gaming keyboard and an M401R gaming mouse! 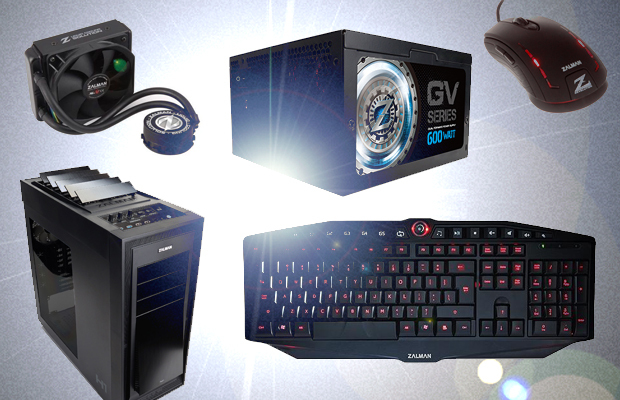 Just what you need to get your next gaming rig up and running? Then don't miss out, all you have to do to be in with a chance of winning is answer the following simple question. And don't forget, you can also claim a free second entry via Facebook to increase your chances! The competition winner will be picked at random from all eligible entries that arrive by midnight of the closing date, November 6, 2014. The winners will be notified via email by November 13, 2014. The winner must claim their prize within 7 days of the promoter sending notification. If the prize is unclaimed after this time, HEXUS reserves the right to offer the unclaimed prize to a substitute winner selected in accordance with these rules. The prize is a Zalman bundle comprised of H1 chassis, LQ315 cooler, ZM600-GV PSU, K400G keyboard and M401R mouse. Great prize, would be a a nice replacement for my Zalman Z11. I own the keyboard its not entirely good but the other stuff are the best!! !